Buying a used car could be a huge risk, you do not know the history of the car and if you are unlucky, it could be a very expensive story. That’s why I decided to write this article, to help you that are looking to buy a used car but do not exactly know what to ask and look for. 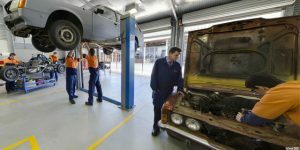 I work as a diagnostic technician and I have seen the most expensive repairs and what people are doing before selling some cars. Cheating repairs, changed metering positions and many tactics to get as much money as possible before selling it. But there are many ways to avoid this, and I will teach you how, So let’s go. Asking the owner why they are selling the car can be a great idea. If they are selling it because they know the car has a serious problem, they will probably not tell it for you, but some people are very honest so it could be worth a try. 2. Has it been in an accident? Ask if it has been in any serious accidents. You should also check that yourself by looking at the paint carefully and see if you see any colour difference between the parts. It’s very hard to get the exact same paint on repainted parts because the original paint gets sun bleached after a while. Also, check for any flood damage. 3. Are there any records of the mileage? Check if there are any documented records of the mileage with a date. It could be from inspections or services. You can try to calculate if it’s a realistic mileage for the date the inspections or services happened. 4. Do you have a service history report? Always check the service history before buying a used car. Make sure that all the oil changes were done at the exact mileage they should be. If you do not know the exact mileage when oil changes should be made, check with your authorized dealer. They will give you a correct answer and no guesses. 5. Has the car been recalled? Ask if the car has been recalled for any repairs before. It’s always a good idea to check with your dealer if the car has been recalled, but not repaired. Many dealers recall cars and make necessary repairs for free at a time. If you pass that time and haven’t get it repaired, you have to pay it yourself after. 6. Does the car have a spare tire and jack? Ask and check if the car has a spare tire/puncture repair kit and a jack. If the car doesn’t have them, it could be a bit tricky to find new ones for reasonable money. The cheapest way is to check at a car scrap to find used parts. 7. When was the timing belt replaced? 8. Do you have a Carfax of the car? Ask if the owner has any carfax of the car, to see the history of the car. If the owner doesn’t have it, you can get one yourself on a carfax page, just google Carfax and you will get a lot of different sites. It will be worth the money if you find any strange history repairs / changed metering positions. 9. Is the car smoking much? 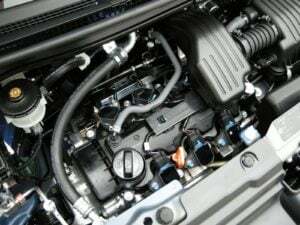 A lot of blue/ grey/white smoke can be caused by a worn engine, it could be a very expensive repair and you really want to check this yourself also. Bad smoke can be caused by a bad turbo or worn internals of the engine. 10. Is it the original paint? Ask if the car was repainted at any time. A repainted car will often never be as good as the original paint. A repaint could also have been done because of any accidents. 11. Can I take it for a test drive? Ask if you can take it for a test drive. You should always take a long and careful test drive before buying a used car. Try all different speeds, gears and loads to induce any possible damages. 12. Can I drive the car to my mechanic? 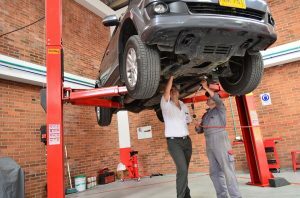 Take the car to your mechanic and let him/her check it underneath before buying the car. A mechanic knows what to look for and could save you a lot of money. 13. Can I check under the hood? If the selling won’t let you check under the hood, they are hiding anything. So ask if you can check under the hood and do it. Check all fluids and check the condition of the engine oil. If the oil is very black it’s probably time for a change. Check for any oil in the coolant or brown oil, it could be caused by a bad head gasket, which could be very expensive to repair. 14. How many previous owners? A lot of previous owners can be a sign of a hidden fault in the car. It could also be other causes but it’s a good sign to check. If you have time, check the ages of the previous owners. Generally, older people take more care of the car. 15. Can you do a better price? Always ask if the seller can do a better price. Many sellers are putting up a higher price than they expect to get because they know the most of the people are going to bargain. List all the fault that you found and give them a lower offer. You’ll be surprised of how much you can lower the price if you try! Buying a used car can be a risk fully move. Reduce the risk a lot by check the car and the car history carefully. 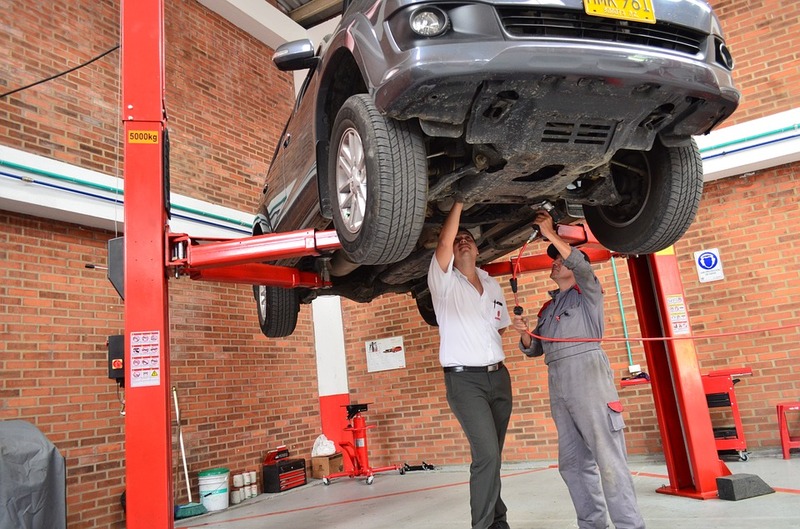 If you do not know much about cars, you can ask your mechanic if he can help you and check it for you for some money. The money is really worth it, if he finds any serious faults. Now you are ready to go out and buy your used cars! If you have any questions, you can ask me at my homepage.